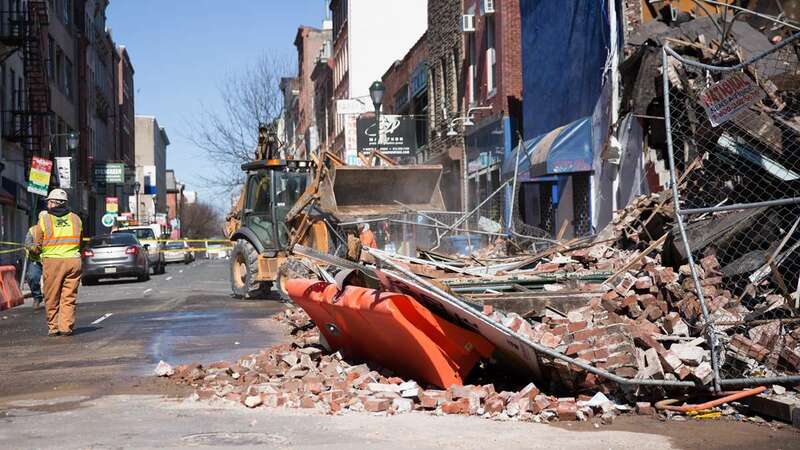 A portion of a building in the Old City section of Philadelphia collapsed Thursday afternoon while it was undergoing demolition. 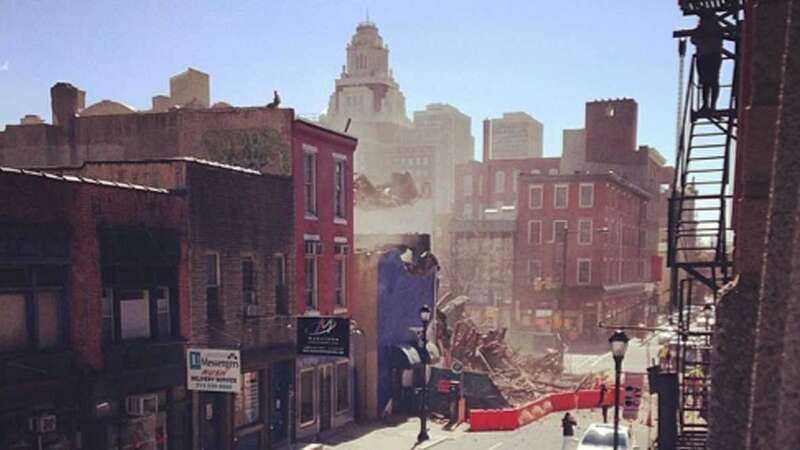 Located at the corner of Third and Market streets, the commercial property commonly referred to as Shirt Corner fell shortly after 1 p.m. as a crew worked to take down several adjoining structures during a “controlled demolition,” Constructure Management Inc. Superintendent Mark Christof told the Philadelphia Business Journal. 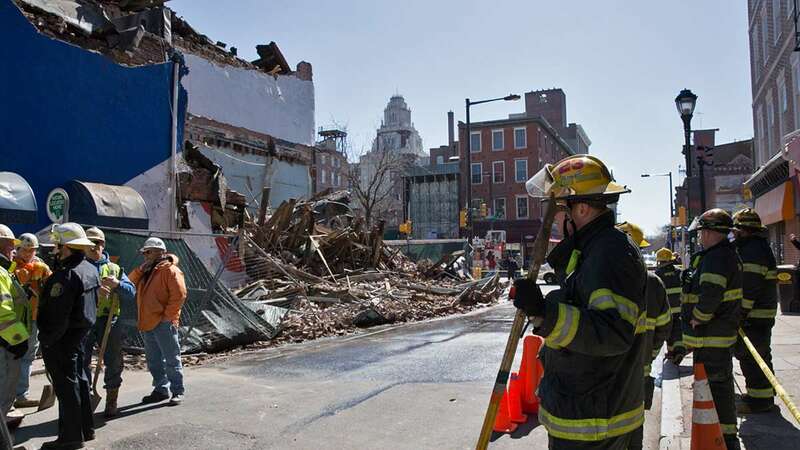 “It sounded like a boom, a collapse, right outside my window,” said Bruce Goodman, a neighbor. 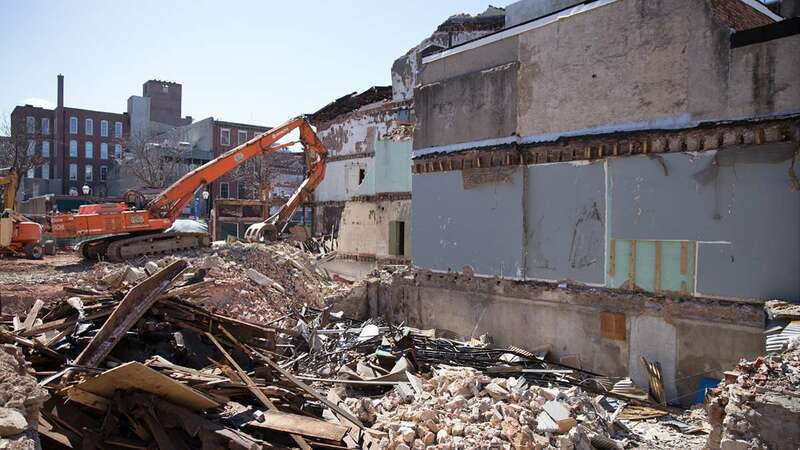 Malvern-based Constructure was demolishing the building to make way for the 54,000-square-foot mixed-use property that Philadelphia-based Alterra Property Group has planned. Alterra managing partner Leo Addimando said that workers had blocked off adjoining streets for intervals throughout the day. 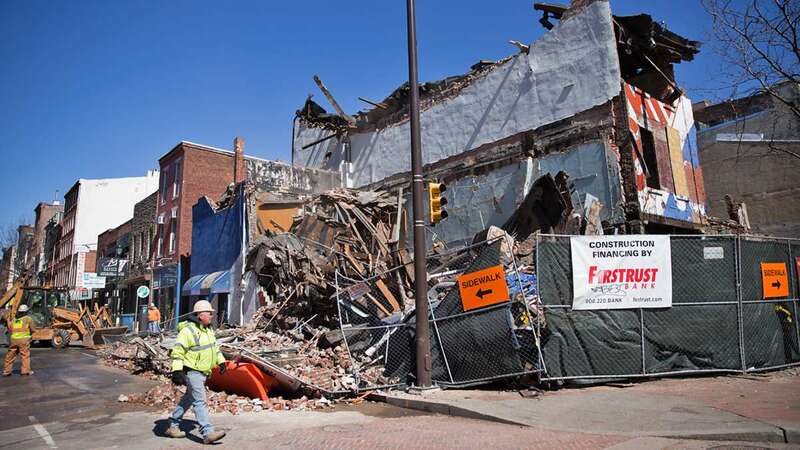 “When this building fell down, there was no one allowed on Third Street, for this exact reason, in case it were to happen like this,” he said. 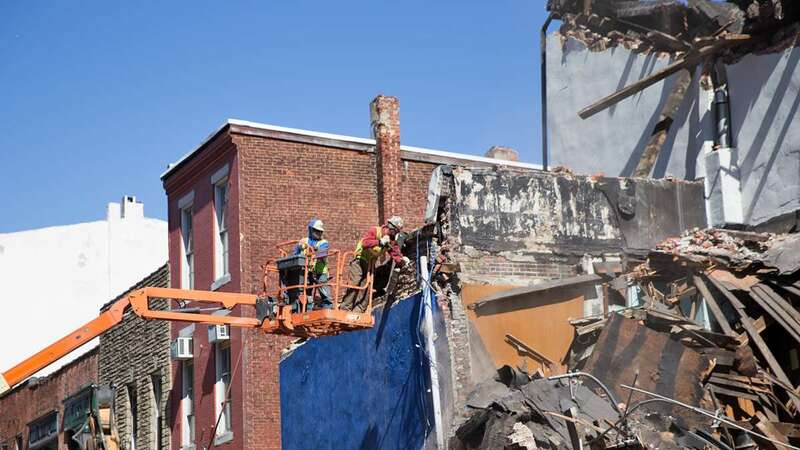 City officials said that representatives of the Licenses and Inspections have been out to inspect the property every day since demolition began a week and a half ago. Eyewitness reports began circulating the web and photos and videos surfaced illustrating the extent of the damage. 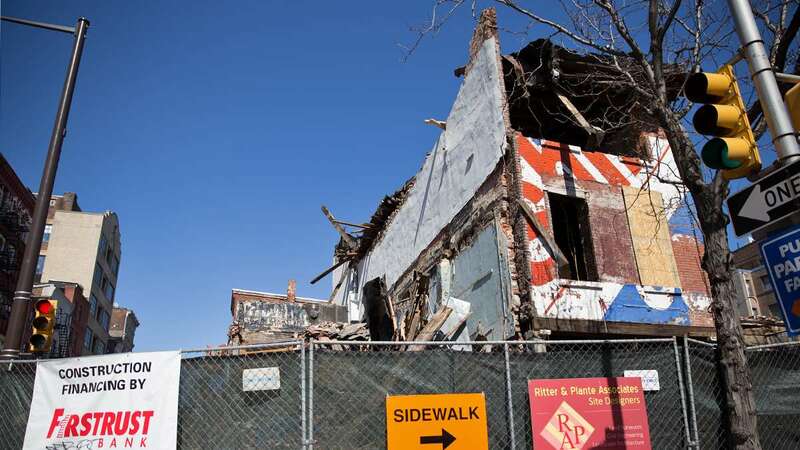 The iconic red, white and blue building is being demolished, making room for a CVS. 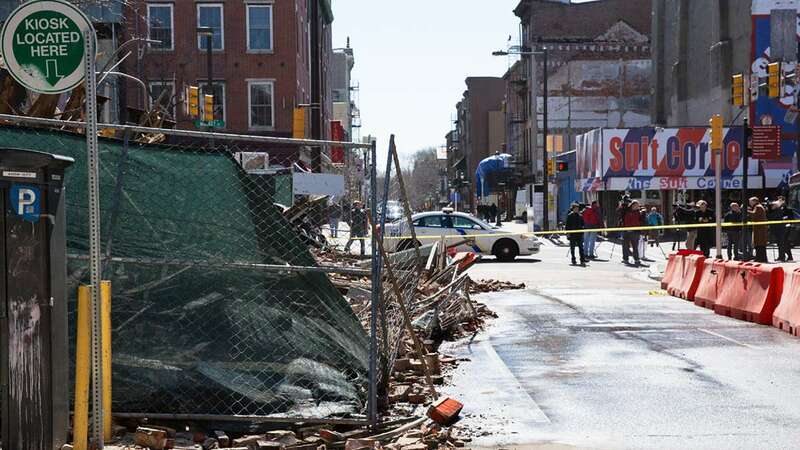 In June, six people died when a building being demolished at 22nd and Market collapsed onto a Salvation Army thrift shop next door. For continuing coverage, click through to NewsWorks partner, NBC10. Editor’s Note: This story was updated to reflect that the building is under demolition, not restoration as originally planned. Emma Jacobs contributed to this report.